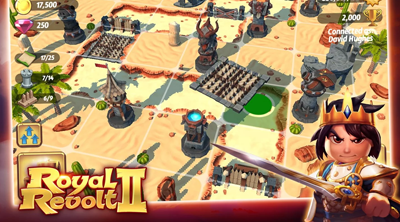 Here's a list of Towers and Defensive Structures with their specific info, for the real-time action and arcade reverse tower-defense game - Royal Revolt 2! This section will cover some brief in-game info about Towers, Barricades, Spikes, and Blockades, with in-depth shortcuts to easily determine their strengths and weaknesses. - Strong Against = None, based from in-game stats, but they can hit multiple targets! - Not Effective Against = Paladins, Cannons, Mortars, Pyromancers and Frosters. - Immune to Some Units = Knights, Archers, Frosters, Pyromancers, Arblasters and Mortars. - Sturdy From Normal Attacks (100%) = Bladestorm and Apocalypse (Scroll). Knights ignore Spikes! - Sturdy From Piercing Attacks (100%) = Swordrain. Archers and Arblasters have Piercing attacks but they ignore Spikes too. - Weak From = None, based from in-game stats, but they have low HP though. Note: Only Heroes, Paladins and Cannons are able to destroy traps without getting hurt. - Sturdy From Poison Attacks (90%) = Toxic Cloud and Mortars. - Sturdy From Piercing Attacks (75%) = Swordrain, Archers, and Arblasters. - Weak From Fire Attacks (200%) = Firestorm and Pyromancers. - Weak From Blunt Attacks (100%) = Hammerstrike, Sonic Blast, Paladins and Cannons. - Weak From Ice Attacks (100%) = Blizzard and Frosters. - Strong Against = None, based from in-game stats. - Not Effective Against = Paladins and Mortars. - Weak From Fire Attacks (300%) = Firestorm and Pyromancers. - Strong Against = None, based from in-game stats, but has a nice range. - Not Effective Against = Paladins, Frosters, and Cannons. Note: Bombs can be kicked back to them to avoid damages. - Sturdy From Piercing Attacks (50%) = Swordrain, Archers, and Arblasters. Base Stats: Damage 30 | Health 1,750 | Range 2.7 | + Slow Effect! - Strong Against = Pyromancers and Mortars if Frost Towers can reach them. - Not Effective Against = Frosters and most long ranged Troops. - Weak From Fire Attacks (100%) = Firestorm and Pyromancers. Base Stats: Damage 49 | Health 4,950 | Range 2.7 | + Chance to Inflict Panic Effect! - Strong Against = Frosters, Cannons, and Mortars if Gargoyle Towers can reach them. - Not Effective Against = Pyromancers and most long ranged Troops. Base Stats: Damage 305 | Health 4,880 | Range 7.0 | + Chance to Inflict Panic Effect! | Can only be damaged by ranged attacks! - Strong Against = Frosters, Cannons, and Mortars. - Not Effective Against = Pyromancers. - Immune to Melee Attacks = Knights, Paladins, and even Heroes! - Weak From Blunt Attacks (100%) = Hammerstrike, Sonic Blast, and Cannons. Paladins are Blunt but melee units can't attack Firebolt Towers. Base Stats: Damage 46 | Health 5,700 | Range 3.0 | + Poison Effect! - Strong Against = Paladins. Mortars also if Snake Towers can reach them. - Not Effective Against = Knights. Cannons, Pyromancers, and Mortars too if Snake Towers can reach them. 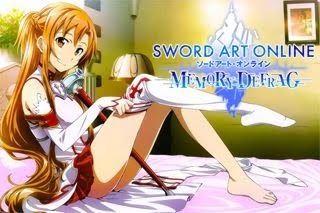 - Strong Against = None, based from in-game stats, but it can dish out high damages. - Not Effective Against = Paladins and Frosters. Cannons too if Skull Towers can reach them. - Weak From Blunt Attacks (50%) = Hammerstrike, Sonic Blast, Paladins and Cannons. Best Towers and Path Structures to Use - Based from Polls! Best Towers and Defensive Path Structures for Defense!